Fleetwood Mac does not define Stevie Nicks. It is her solo career that has made her a true rock and roll icon. Stevie Nicks has undeniably made history as a member of one of the most popular bands in the world, but throughout the entirety of her work, she has accomplished much more than that. Ever since her debut album Bella Donna, she has cultivated a signature style so her own that no solo artist can compare to today. With a chart-topping solo career, Stevie Nicks forever changed the game for women singers and songwriters in rock and roll. Her outspoken lyrics and relentless attitude made her songs stand out from the rest, and helped her break through and achieve her own musical destiny — allowing her fans to develop a personal relationship with the music she created on her own. An independent induction into the 2019 Rock and Roll Hall of Fame would solidify Stevie’s impact on the music world as a solo artist. It’s necessary and overdue, and I know I am not the only fan who feels this way. Some critics think Stevie Nicks shouldn’t be inducted because she is already in as a part of Fleetwood Mac, but the fact of the matter is, many other artists have been inducted multiple times as a part of a group and on their own, such as Eric Clapton, Paul McCartney, Paul Simon and many others. But does any of this really matter? Do these inductions really mean something genuine to the artists? The fans don’t really determine who gets inducted, and only recently were we invited to be involved in the voting process at all. In 2012, the Rock Hall finally allowed fans to vote for the nominees they wish would be inducted. Even still, only the top five fan picks represent one ballot, which is then lumped in with those cast by the committee made up of 1,000 historians, members of the music industry and artists, according to the Rock Hall’s website. I would really like to see the fans have a greater voice in this entire process. Even under these circumstances, I do believe this honor means something to Stevie Nicks herself, and most importantly, it means the world to her fans, including myself, who want her to be recognized. I find it silly that anyone would argue her credibility and fight against her induction. I understand there are many artists who deserve to be in there, and it’s been a long time coming for many, but Stevie Nicks is no exception to that. When I think of my favorite players in the rock world, I think about them deeply, and I admire those in music who’ve elevated themselves by telling their stories openly and honestly. Stevie’s songs cause us to react, relate, and in turn, understand ourselves just a little bit more. Albums like Bella Donna, The Wild Heart and Street Angel represent her journey as a solo artist. They’ve made me believe in her music. I am thankful for her independent breakthrough, and millions of other young women like me owe everything to to the legacy she’s created as a solo artist. 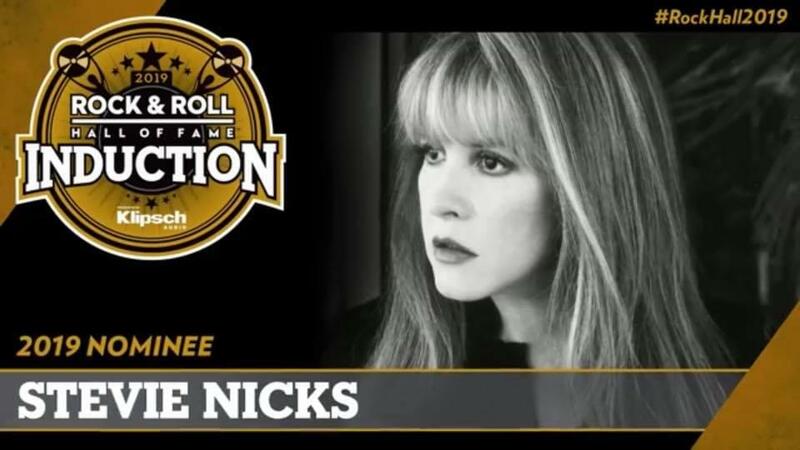 You can vote to induct Stevie Nicks into the Rock and Roll Hall of Fame once a day until December 9th here!